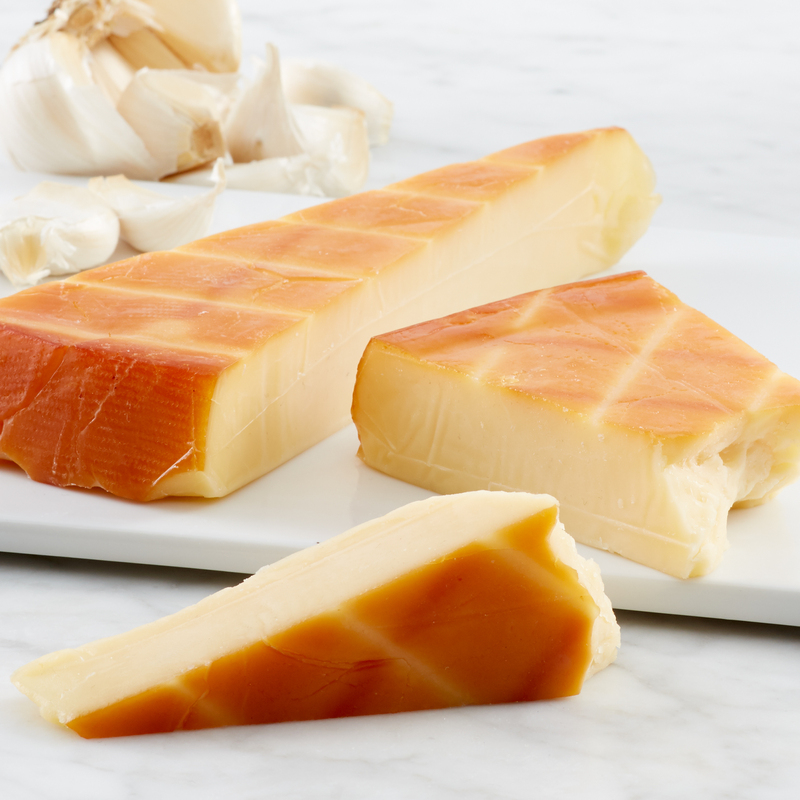 This handcrafted white Smoked Garlic Cheddar gets its award-winning flavor from being expertly blended with all-natural garlic grown in the farmlands of Ohio before being cold smoked with apple wood. 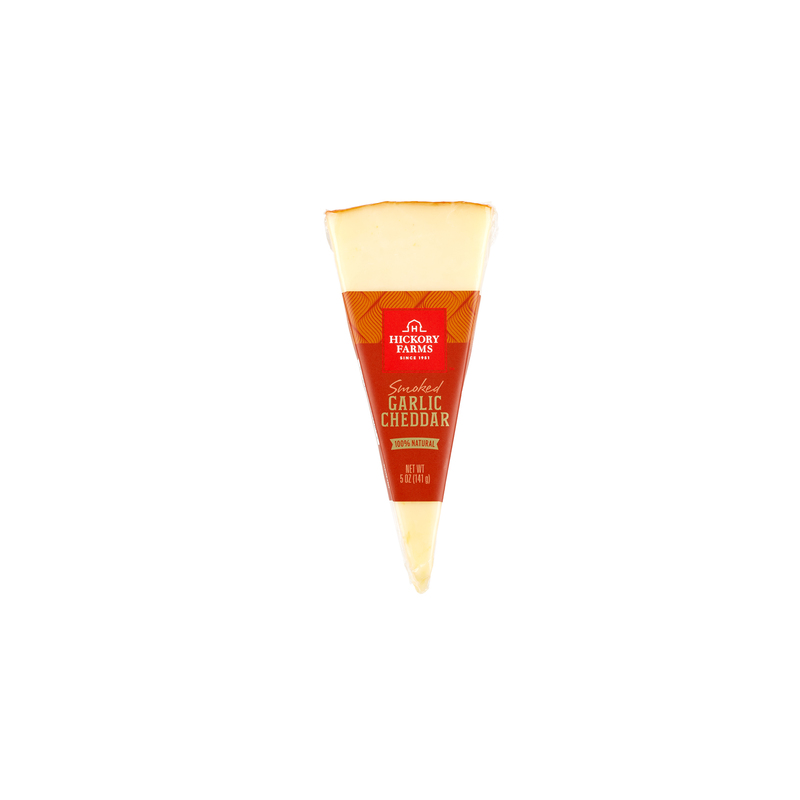 This cheese is perfect with our Dry Salami atop our Golden Toasted Crackers. Or, pair with a fruity, full-bodied Chardonnay. If you prefer beer, hoppy Pale Ales counterpoint the smoky garlic flavors.